A screenshot of the mobile game "Flappy Bird." 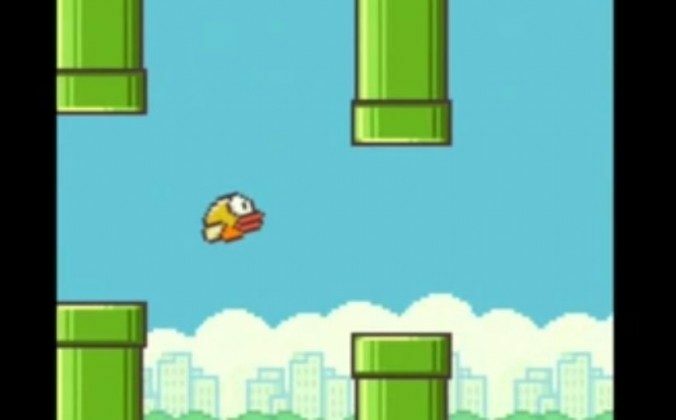 “Flappy Bird” creator Dong Nguyen recently indicated that the addictive game could be coming back. However, he said the game won’t be coming back “soon,” according to his Twitter account. It appears that Nguyen is looking to bring the game back to the App Store and Google Play. Around a month ago, he deleted the game from both of the websites after he said it was bringing too much pressure down on him. Nguyen also said that people were too addicted to the game, despite reports of him making tens of thousands of dollars per day in advertising revenue over its popularity. Nguyen also said he didn’t artificially boost rankings. “I am sure I didn’t cheat anything, and I don’t have to do that.” Nguyen said. During the height of the game’s popularity, Nguyen apparently received death threats on Twitter. After the game was taken down, thousands of spinoffs of the game were uploaded to the App Store to capitalize on the game’s popularity. However, Nguyen might be out of luck. According to Venture Beat, it will be difficult for Nguyen to restore the game on Apple’s App Store. “If you delete your app, you can’t restore it,” Apple’s developer documentation reads. “The SKU or app name can’t be reused in the same organization.” Venture Beat points out that Nguyen has forfeited the right to the game’s name on iOS, while Google Play doesn’t have the same issue. The “Flappy Bird” name was registered for the App Store by developer Mobile Media Partners a few hours after Nguyen deleted it, and the company said that it has plans for it. If Nguyen has a trademark for “Flappy Bird,” he could file a lawsuit.